Oh Mr. International… you have definitely earned a spot in the MUFT’S top 5 Snacks!!! But if it was for me, I would change the name to Mr. Freaking Hot that is because everything on your menu would make anyone sweat with JOY!!!! I went there with some of the BEST people I know.. The place is very humble and homey…It needs some slight modifications decor wise but it’s nice nonetheless. What I admired most was how quiet it is, the owner has chosen the perfect location…greenery all around and the sound of crickets at night just soothes every nerve and cell in one’s body. Abdo, the owner, is just great… He is friendly and kind to everyone 🙂 He was EXTRA PATIENT with me (Thank you)…It took me quite some time to decide what to eat for it was 8 pm and I didn’t want anything too heavy. 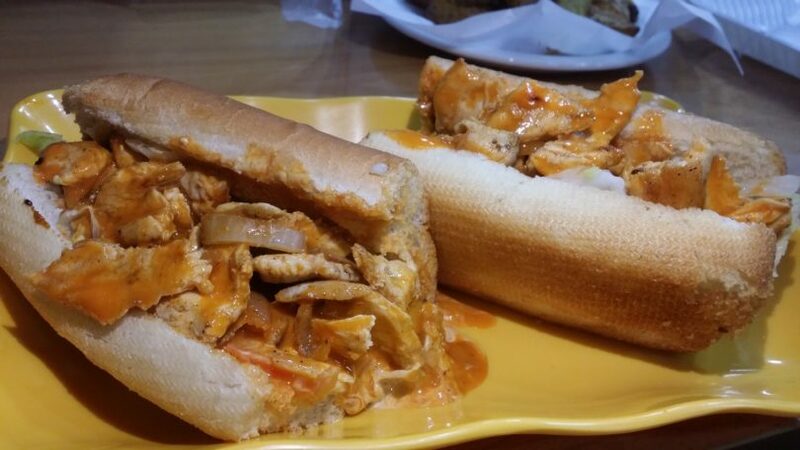 Eventually I ordered the Buffalo Chicken Sub and my friends ordered wings, wedges, fries, and a burger. For drinks, we mainly had water. 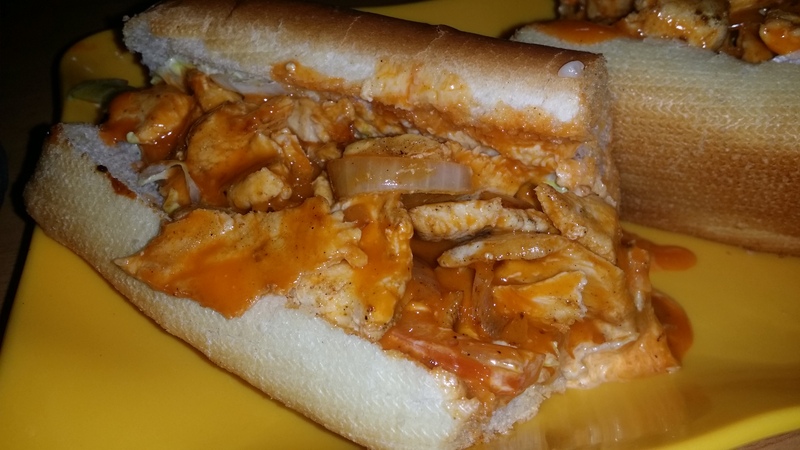 I have to admit that the Buffalo Chicken Sub didn’t just look so appetizing but it also tasted SO DAMN GOOD…loaded with chicken chunks soaked in that heavenly buffalo sauce and sizzling in a soft white baguette. 10/10 way to go Abdo. 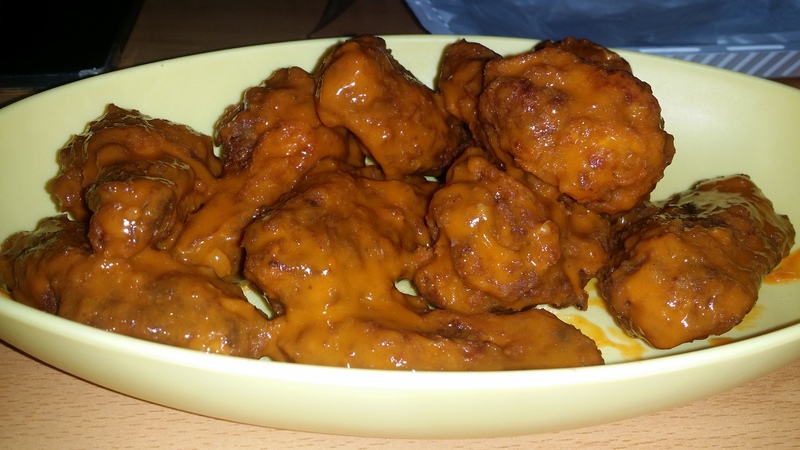 After tasting one of those perfectly fried wings, I would say with full confidence that this place serves some really good wings like even better than most wings places out there. 10/10. As for the fries, they were skinny and crunchy but not golden enough 8/10. oh oh and it is worth mentioning here that when you order open wings, you get complimentary ice cream which was just heavenly. My whole experience was great!!! And I’m definitely coming back.